We don't yet know why these applications have yet to be opened in L640LTE WP 10 build 10. 0.10586. 71, is still in development or not support Lumia applications?? 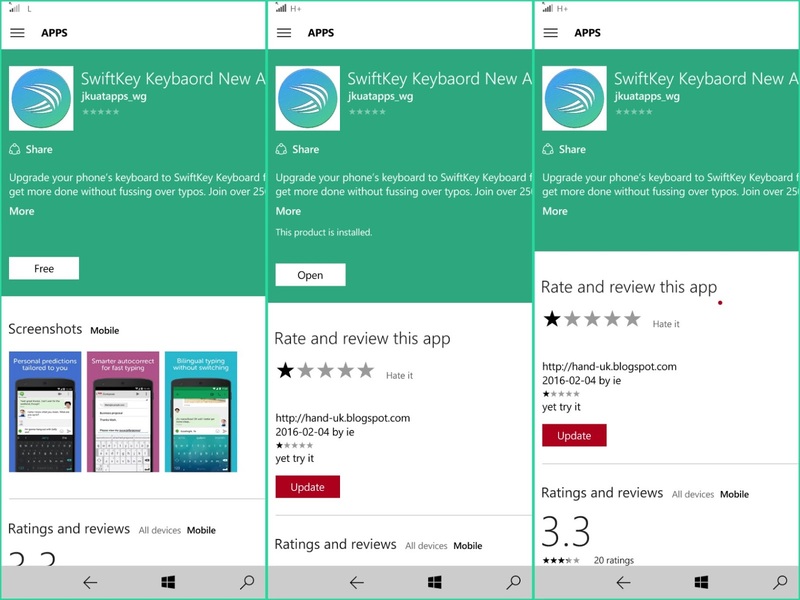 In the search of store Windows, Keyboard swiftKey Application can search by keyword by name. However, after the application is already installed can not be open. Instead, layuot open Rating. We try again by giving a Rating with comment, it also can not help the situation. Nonetheless the application can not be in Windows phone Open. Maybe you Windows users other type with lumia phone, can try the application in the Windows store. Please download the application, and give the proper Rating so that these applications can be used by all air-smart phone OS Windows. You are on the website page WINDOWS MOBILE PHONE - setting and Upgrade. 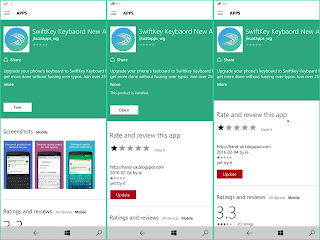 SwiftKey appl WP With the link URL http://hand-uk.blogspot.com/2016/02/swiftkey-appl-wp.html for this articles, you can bookmark or share to any. Our expectation that Windows smart phone users, can understand and know about OS Windows phone. SwiftKey appl WP Is a link for you, How to use the pure smart phone.